FRP is a wonder composite material consisting of fiberglass reinforcement in a matrix of unsaturated polyester resin and outer protective coating with u/v stabilized in the built color of your choice having exceptional strength to weight ratio. 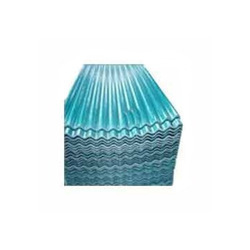 FRP is generally known for its high strength and resistance to high temperatures, chemicals, bacteria or termite and excellent acoustic insulation. Because of these outstanding properties unlike PVC or Wood, it finds its application widely in all spheres of life -Aerospace, railways, chemical industry, marine industry, food industry, automobile industry, building, and construction etc. We are occupied with giving an extensive variety of FRP Sheet for Automobile Industry for our profitable customers. All items are made up utilizing high class material and propelled innovation with a specific end goal to address the issue of the customers. Additionally, all items are very applauded for their qualities, for example, unwavering quality and sturdiness. We offer whole range at moderate cost. Looking for FRP Sheet for Automobile Industry ?